1. 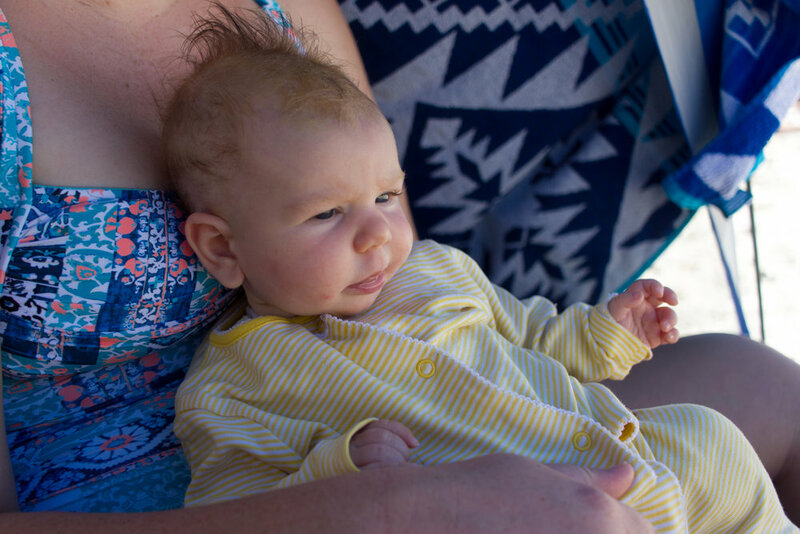 Firstly, I started the blog once Farley was weaned off breastfeeding and when she started sleeping through the night, independently at 18months. Prior to that our nights were all about bed sharing and breastfeeding-to-sleep. 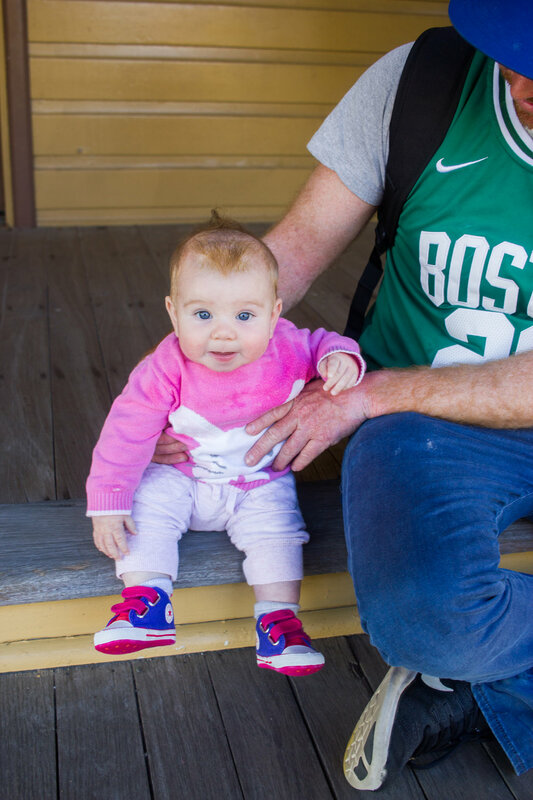 At this point in time, I was also 3 months pregnant with Hallie and I always knew that starting a blog about getting out and about in Sydney with a toddler maybe be a little difficult to maintain once I also had a newborn in the mix. But to be honest, for the first 3 months of Hallie’s life, it was pretty easy to get out and about with both toddler and baby. And i was also able to find a couple of hours at night to work on the blog. Hallie was a pretty deep sleeper for those first few months, once she was asleep, she was asleep for a solid couple of hours before needing her next feed, even while in her Pavlik Harness. But that all changed around the 4 month mark... the dreaded 4 month sleep regression, which was combined with her first cold and closely followed by teething ( she now has two little bottom teeth ). The 4 month sleep regression really meant nothing with Farley... sleep was alway a challenge from birth with her. But I really noticed it with Hallie. I went back to the only way I know how to survive with a little sleep fighter... breastfeeding to sleep and then, more often than not, having my arm trapped under a sleeping baby, too scared to move it incase she wakes up again. The nights that I do manage to creep out of the bedroom, it's anyones guess when she will wake up again... 20 seconds? 20 minutes? Maybe 2 hours if I’m lucky. Some nights it’s just easier to stay put. 7:30pm is my new bedtime. It’s how we made it through Farley’s first year without to much stress or sleep deprivation ( I’m not one to attempt any sort sleep training at this stage... that topic could be a whole other blog post in and of itself ) my main focus is doing whatever it takes to make sure everyone in the family is well rested and happy, even if that does mean my creative endeavours are put on hold for a bit. 2. 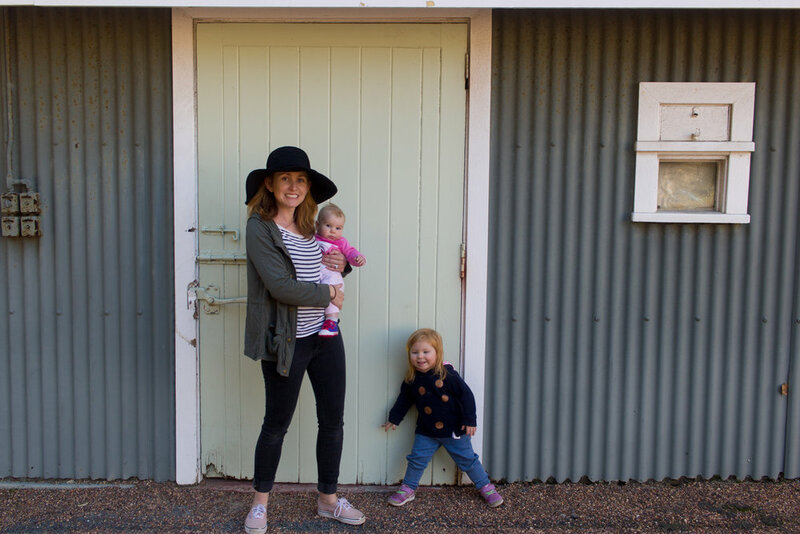 The other major reason my blog has lost a bit of momentum is, well firstly, let’s face it, it is quite a challenge to even leave the house with a baby and a two year old by yourself. And Farley now, as a two year old, is a lot differently to Farley as an 18 month - 24 month old. My gosh, toddler emotions are a whole new ball game. Farley has always been a very introverted kid, in fact she was an introverted baby. She wouldn't let just anyone hold her and cried if strangers got too close. She seemed to come out of her shell a bit once she was walking but things changed again at the age of two. Admittedly it was when Hallie arrived in her life so things were definitely shaken up. I was really ambitious about getting out and trying all sorts of new mothers groups and playgroups, I had even compiled a list off the toddler playgroups and sessions that are hosted by museums and art galleries in Sydney, with the intention of attending and reviewing each one for the blog. But Farley had other plans, and those plans were to just stay home. Any new activity seemed to send her into meltdown mode, other kids coming within her personal space seemd to be just too much. And this was on top of all the medical appointments that were required to monitor Hallie’s hip dysplasia. I quickly realized that I was over scheduling our lives and needed to re-prioritise. 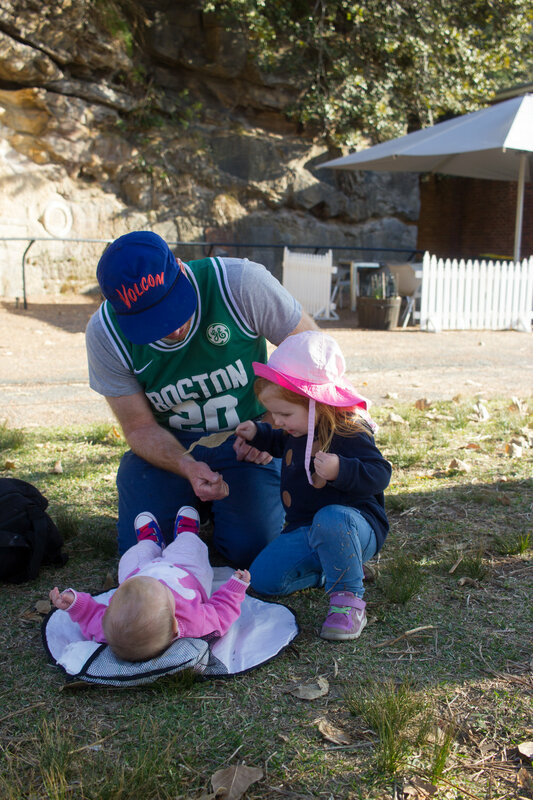 We still go to the local playgroup twice a week that we’ve always gone to since moving to Sydney, it’s familiar and friendly, and to be honest.. it’s my main form of social interaction. We also still go out as a family on weekends but other than that, I have embraced keeping it simple and staying at home most weekdays. It’s kind of ironic that a Mum who wants to write about exploring Sydney with a toddler; has a toddler who would much prefer to stay home . 3. When I started blogging, it’s was mainly a creative outlet, a place to continue using the skills I had acquired over the course of my career, but also a way to teach myself new skills and explore new career paths, like writing and generating an income through blogging; with things like affiliate links and sponsored posts and ads banners. I quickly realised that it would be a hard slog before anyone was going to pay me to write articles for them or generate a following worthy of sponsored posts. I thought to myself, how can I work smarter, not harder? So then I started looking into e-commerce and online stores. One thing that kept coming up was, well two things actually, were doTERRA and network marketing. I kept seeing doTERRA essential oils popping up everywhere and I didn’t quite get how all these people could have a doTERRA business. I had also come across a few people who had created a lot of wealth through network marketing and I was like ‘what does that even mean? !’ Then, as if the universe was literally guiding me down a new path, one of my good friends in Sydney, Miranda, invited me to a doTERRA class. I had a very basic knowledge of essential oils and was interested in finding ways to naturally help Braino’s extreme eczema, amongst other things. So I went along, bombarded poor Emma and Liz with way too many questions, bought some oils and started on a quest to figure out how the business side of it work. I quickly figured out that doTERRA is network marketing and it’s actually pretty fascinating. I’ve also been using essential oils in every way I can. I can honestly say I love them; they have helped make some big changes to our life. Mainly when it comes to reducing the toxic load in our household cleaning and hygiene products (Braino has been loving the all natural hand cream I made him, which helps relieve the discomfort of his eczema). So basically I’ve been dedicated a lot of time to essential oils and researching how network marketing works - so watch this space... things are evolving. 4. Another reason for neglecting BabyBrainSydney.com, possibly the biggest reason, is.... we may actually be leaving Sydney! And moving to Melbourne. The idea has been thrown around a bit over the last few months, it was all systems go at one stage and but now it’s in a bit of a holding pattern. Basically our move to Sydney was a career opportunity for Braino, to head up a new Sydney branch of the company he works for. He’s an electrician who specialises in civil infrastructure but is now more so in a management / business development role. It's all the road / rail tunnels which are being built in Sydney that have provided the opportunity for growth and now that the Sydney branch is a thriving team of approx 40 employees across 4 major tunnels, the sights are set on duplicating the same success in Melbourne, where two more tunnels are underway. While I ave grown to love Sydney and will be so sad to leave, I also thrive on change and love a challenge plus exploring a new city is clearly something I love. Plus we also have immediate family in Melbourne so it will be nice to be surrounded by a bit of a family support network, something we have been managing without for the last 18 months. At this stage, the Melbourne move is still in planning and discussion phase, but likely to happen before the end of the year... maybe.. who knows! So that's been a pretty big factor in the fizzling out of this Sydney themed blog... perhaps I'll start afresh in Melbourne or perhaps I'll incorporate more of my health and lifestyle interests as well. But there you have it - an in-depth update on what's been happening in our life. Crystal clear turquoise water, sparkling white sand and blue skies were what we discovered when we arrived at Moona Moona Creek on Easter Sunday morning. This stunning location is the perfect place for a family with little ones to enjoy the sun, sand and water of Jervis Bay. The expansive tidal lagoon where Moona Moona Creek meets the ocean waters of beautiful Jervis Bay is locate between Vincentia and Huskisson, along Burril St / Elizabeth Drive. 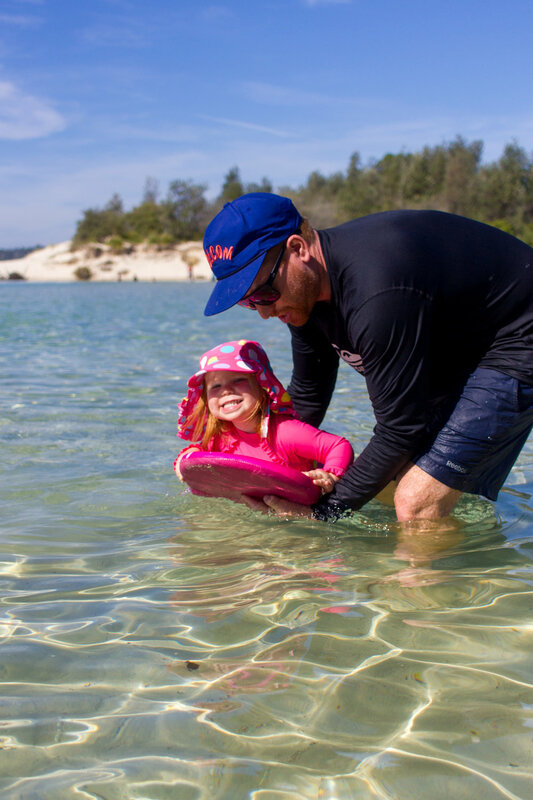 The calm shallow waters and easily accessible beach make for the perfect, safe location to splash with young ones. It's also an amazing spot for kayaking and stand up paddle boarding - hours of fun for the whole family. Our best investment for this weekend getaway was the incredibly easy to set up shade tent from Anaconda. 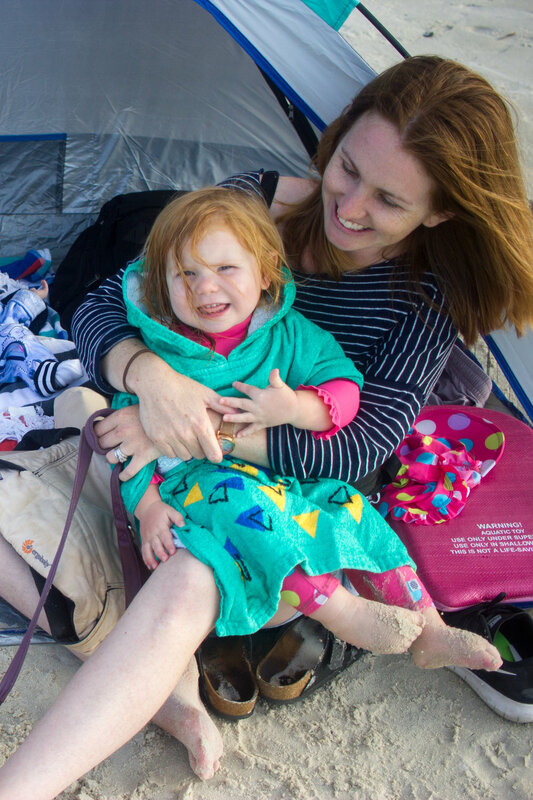 Taking a baby to the beach was never going to be possible without some guaranteed shade, and as Hallie can't get in the water at all due to her Pavlik Harness, it was great to have somewhere out of the sun to sit with her. I even managed to get her to have a decent nap! Winning! 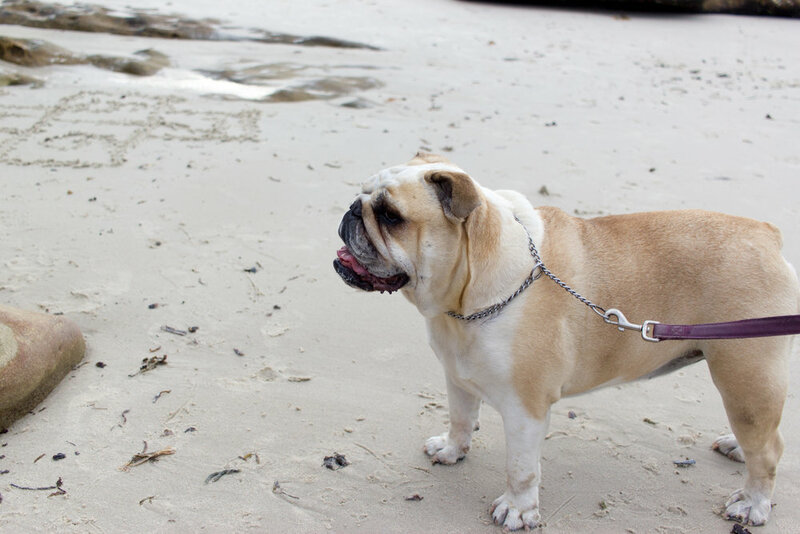 To find out more about what we got up to in Jervis Bay, head over to this blog post. We decided to take advantage of the Easter long weekend with another family getaway. 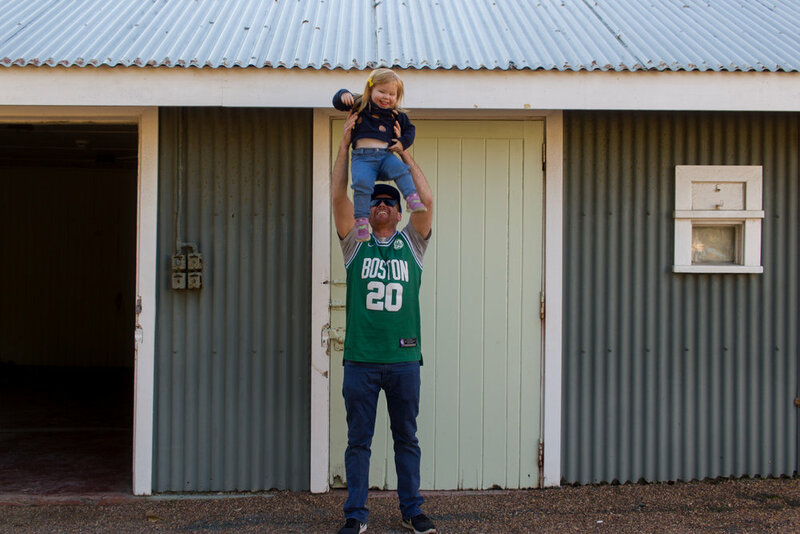 We loved our trip to Nelson Bay so much that we wanted to do something similar. This time we were keen to head south and explore the area of Jervis Bay. Joining us was Braino's sister, Lauren or as Aunty Loz as she as come to be affectionately known as, and of course, Hallie was with us in this time. Plus how could we leave home without our lazy bulldog, Costanza. On Good Friday, we packed everything, dog included, in to our Toyota Prius V and headed to the airport to pick Loz up. it was a tight squeeze and we had to pack light. But once on the road, we were very ambitious and somewhat foolish to think a 3 hour drive was a good idea with a 3 month old baby. As a baby Farley absolutely hated the car until she was about 5 months olds. Car trips with baby Farley were limited to very short, absolutely necessary drives. However Hallie as been a bit different, some days she's ok in the car while other days she will cry. This day was one of the bad ones. She slept from our house to the airport but for the next 20 minutes after the airport she just screamed! I was sitting in the backseat between the two baby seats but I don't think that helped much. There is nothing more stressful than a crying baby in holiday traffic so we pulled over to give her a feed somewhere in the Shire but that didn't seem to settle her much and Braino quickly came up with a plan B - 'why don't you catch the train with Hallie'. At first I was like 'what?!?' but it actually made perfect sense; I'd be able to hold her, let her sleep in the ergo carrier and breastfeed whenever needed. So we hightailed it to the nearest train station; Sutherland. Farley and Lauren joined us as well, while Braino and Costanza made the drive down the coast together. The train was actually perfect for Farley too as we were able to keep her occupied with sticker books and she was free to move around bit. Usborne Books have a really great Easter themed sticker book that kept her busy and the coastal scenery from the train was surprisingly amazing! The train hugs the coastline for a large portion of the trip, so we were able to take in a lot of the stunning beaches and headlands around Woolloongong. The whole trip, including the change at Kiama took around 2 and a half hours and Braino met us at Bomaderry train station, arriving only a few minutes after we did. We then drove the last 20 minutes to the suburb of Vincentia in Jervis Bay. As we were searching for a dog friendly accommodation on a budget, we were fairly limited for choices. The holiday house we booked through AirBnB was a quintessential beach shack, the outside was pretty run down, no doubt ear-marked for demolition down the track because the block of land has water views while the inside had been recently renovated in a tasteful, comfortable way. It was fully fenced and perfect for both our family dog and a toddler. The house was in a great location - we were only a short walk from a quiet beach and also walking distance to shops and cafes. Vincentia is a smaller, residential suburb of Jervis Bay. There is a Coles and few other cafes and shops nearby. The suburb of Huskinsson is a short drive north and is slightly more built up with a wider selection of shops, restaurants and accommodation options. I'd probably recommended staying in Huskinsson over Vincentia, just based on the amount of facilities but Vincentia is a lovely option. On Saturday morning, we headed up to Huskinsson for the Easter Parade and Fete at the local showgrounds. It was a great way to fill in the morning, looking at market stalls, vintage cars, demonstrations from the local fire brigade. Farley loved watching the the pet parade that was sponsored by Paradise Pet Parks - she loves dogs! We then ate lunch at the The Huskinsson Hotel - great food and atmosphere but very crowded seeing as it was Easter Saturday. The best part about the location was that we were within walking distance to a quiet, dog friendly (but not off leash) beach - just next to the Vincentia Boat ramp on Holden Street. It was the perfect place to spend the late afternoons relaxing in the fresh ocean air. Farley loved exploring the rock pools and chasing us around. Costanza does not like getting wet so she was fine to just chill on the beach. While the water wasn't crystal clear like other beaches around Jervis Bay, the fact that it was within walking distance and very so low key was so appealing to us. It was so relaxing and easy with a baby, toddler and dog - although we couldn't have done it without Aunty Loz! We spent Easter Sunday morning at another absolutely stunning spot Moona Moona Creek, which I'll dedicate a whole another blog post too. Jervis Bay is famous for one beach in particular - Hyams Beach. Since it's been advertised as the beach with 'Whitest Sand in the World', Hyams as fallen victim to being loved to death! I had read a few articles about how on holidays and popular weekend, the small suburb of Hyams Beach becomes a literal car park, you better have the patience of a saint to nab any sort of parking and then you'd still be walking a fair way to the beach. A drive-by while Farley was napping in the car, confirmed this - it was crazy! So we decided to forgo the Hyams Beach experience for our little local spot. 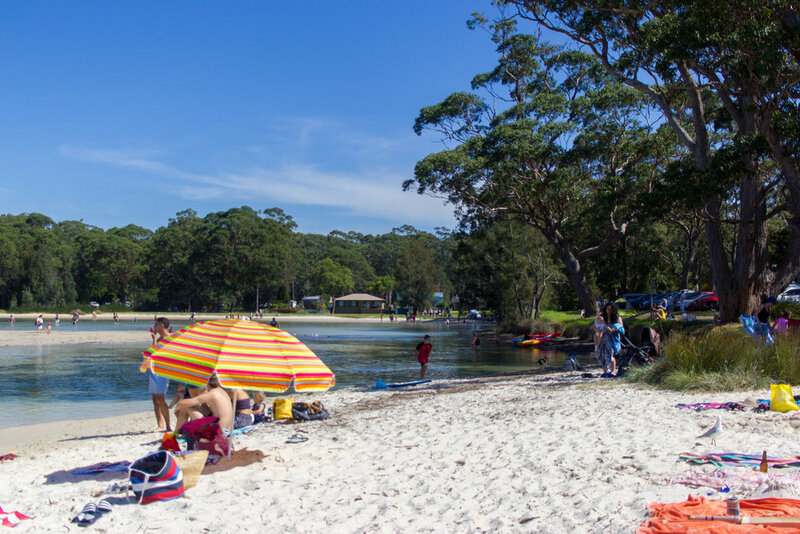 Plus we really thought you couldn't get much better than Moona Moona Creek for a family friendly swimming spot. We had the chance to sample of the local cafes and resatruants in Vincentia and Huskinsson so if you are in the area and looking for somewhere to eat, here a few place we would recommend. Here are some amazing blogs and resources I used when planning our long weekend. There is so much to explore in Jervis Bay, you could easily spend a week in the area and not get bored - beautiful beach, coastal walks and marine tours to name a few. But I guess the big question we kept asking over the weekend was; 'Is this better than Nelson Bay, Port Stephens?' 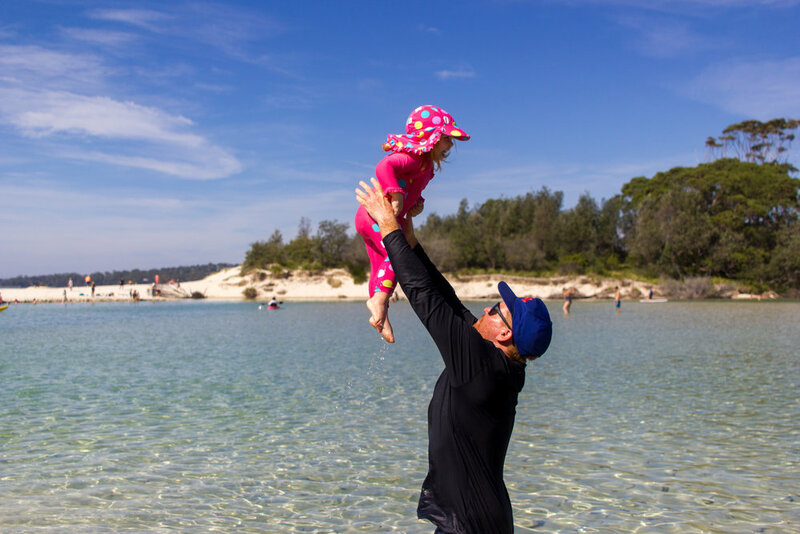 In this round of Family Getaway Faceoff: Port Stephens vs Jervis Bay, we'd have to declare Port Stephens as the winner. Wendy Whiteley’s Secret Garden in Lavender Bay is truly a hidden sanctuary on the edge of Sydney Harbour. It is the most beautiful, tranquil maze of winding paths, towering fig trees and picnic nooks, all looking out at the world class view of the Sydney Harbour Bridge. I've come across a few photos of this view on instagram and it has since been on my list of places to explore. I was honestly just expecting a lookout with a view worthy of a social media tag but what I discovered so much more; a story of love, family, loss, creativity and determination. It was the perfect afternoon for some quality family time; relaxing in nature while marvelling at still being surrounded by the hustle of Sydney Harbour. Firstly, I’ll start with a bit of a back story to these wonderful public gardens, because it’s an astounding tale. The gardens are literally a living work of art, created over 20 years by Wendy Whiteley, wife of the late renowned artist,Brett Whiteley. After Brett’s passing in 1992, in an effort to feel more control in her life during the grieving process, Wendy started clearing the neglected, railway owned land across from their Lavender Bay home. Wendy and her daughter Arkie continued to clear the land, without gaining any formal permission and without any formal horticultural knowledge, and created the peaceful forest of towering fig trees and both native and exotic plants. Tragically, Arkie, Wendy and Brett’s only child passed away in 2001 at the age of thirty seven. The grief once again propelled Wendy to continue to design the truly magnificent masterpiece of nature that can now be enjoyed by anyone who stumbles across it. Now Wendy’s Secret Garden is truly a secret and kind of hard to find, although it does show up on google maps! Thank goodness for modern technology. We followed google maps to Lavender Cresent and parked our car on the top side of Watt Park. Farley had drifted off to sleep on the drive but Hallie was awake so I put Hallie in the ergo while Braino waited in the car with Farley, and set of on a bit of a location reece. I walked down to the bottom of Watt Park, through the tunnel under the train tracks, along Railway Ave and then back through another little tunnel and up a large set of stairs. A lady who was standing at the bottom of the stairs even asked me, 'Are you looking for Wendy's Secret Garden?'. 'Yes!' I replied enthusiastically, thinking to myself how it truly is a secret. After a brief conversation, I headed up the stairs and found the entrance to the right. It was absolute bliss to just wander and explore by myself for a while. And by 'by myself' I'm including Hallie who was strapped to me in the ergo, because, let's be honest, that is pretty much how I live my life these days. Having one kid to look after is as close to alone time as I get. There were a number of other interesting characters in the gardens too. The guy who looked like he set up his home office at a picnic table, overlooking the view; the group of young 20 somethings enjoying craft beer and cider, another group of hipsters playing uno around a picnic table, two friends catching up over wine and cheese, another couple who may have been on an awkward date, a man siting on the edge of a path drawing in his sketch book. And later on we even witnessed a marriage proposal, complete with a photographer! I nearly cried, it was so lovely! After a bit of wandering Hallie started to grizzle and squirm so I sat on a bench and breastfeed her, and just really felt so relaxed and at peace. We were then joined by Braino and Farley and had some afternoon snacks. There are rusted artefacts like scooters, tricycles, wheelbarrows and watering cans scattered around the gardens so Farley had fun investigating those. While we didn't see any lizards (her favourite thing to look for) we did see a bush turkey and kookaburra. We just let Farley lead the way along the paths and enjoyed looking at the different plants and flowers. Note to parents - the gardens are set on a bit of a steep hillside so some of the paths have quite a drop off to one side. Definitely keep an eye on little ones as they don't fall. I did see one older kids having a great time running through the paths but I was actually surprised by how few families were there. The bonus to Wendy's Secret Garden is quite a good playground in the neighbouring Watt Park. We had a play there on our way back to car. It's well equipped with slides, swings, climbing frames, a merry-go-round and a little boat that rocks. I've included some photos at the bottom of this post. Overall, I loved Wendy Whiteley's Secret Garden, I was really personally touched by the story behind the creation of the gardens and loved that a place like this exists for gatherings, relaxation and reflection in nature. It's a great way to enjoy the outdoors with your little ones and best of all, it's free! Getting there: If you are driving and using your phone for directions you should be able to enter Wendy Whiteley's Secret Garden and have it show up on google maps. If not, try Lavender Cresent or Watt Park or Clark Park. 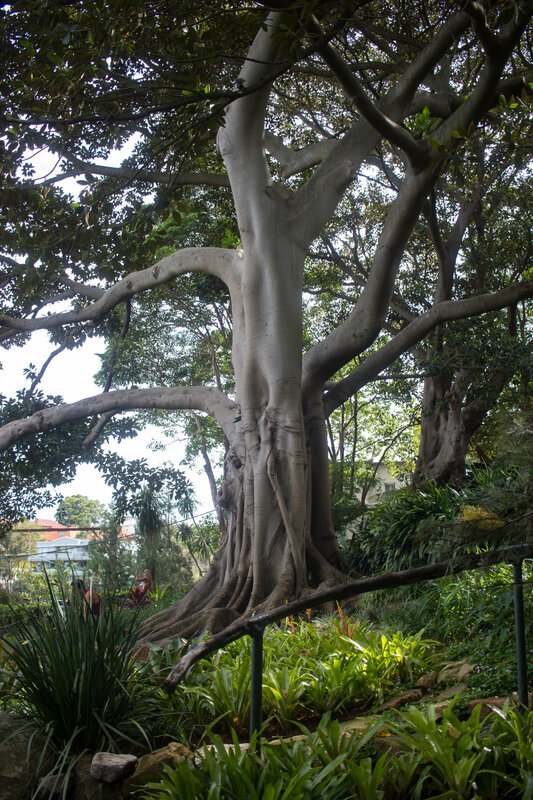 The gardens are an 8 minute walk from either Milson's Point Train Station or North Sydney Train Station. There are also bus stops along Lavender Street. Pram Friendly: Nooooo! 100% not pram friendly. The gardens have lots of stairs and the paths are narrow, winding and not sealed, just dirt. I'd highly recommend wearing your baby in a baby carrier like an ergo. If you did have a pram, you could walk down via Clark Park and enjoy the view from the first picnic table you'll come across at the very start of the gardens, but you won't be able to venture much further in. Shade / Sun Protection: The gardens are quite dense, with lots of trees providing shade but sun production is always recommended. Public Toilets: The closest public toilets are located at the bottom of the stairs that lead from the entrance to the gardens down to the walkway off Railway Ave. It's just a small toilet block with combined unisex and wheelchair accessible toilet. Baby change facilities are very limited. Dining options: There isn't a cafe or kisok within the Gardens but it's the perfect place to BYO picnic and drinks. There is a near by cafe called Windy Willow Cafe, on the edge of Clark Park.